PhD, University of Leeds 1955. Joe Lee received his B.Sc. in chemistry at the University of Leeds in 1951 and his Ph.D. in physical chemistry at the same university in 1955; the research area for the thesis was spectroscopy in the vacuum ultraviolet. Following a short period of employment as powder x-ray crystallographer in the Industrial Group of the United Kingdom Atomic Energy Authority, he was appointed in 1956 as an ICI Research Fellow in the Inorganic and Physical Chemistry Department of the University of Liverpool working in the field of highresolution NMR, then very much in its pioneering stage. In 1959, he moved to the then Manchester College of Science and Technology (MCST) as Lecturer in Chemistry initially still working and publishing in the field of NMR, particularly in its application to intramolecular kinetics. Before retiring in1997 as a Senior Lecturer at (MCST successor) the University of Manchester Institute of Science and Technology (UMIST), he had lectured in all the standard aspects of physical chemistry (thermodynamics, reaction kinetics, wavemechanics and spectroscopy) and in the proper application of mathematics and statistics to chemistry. During this period, his research interests covered avariety of fields including high resolution NMR, UV/visible emission spectroscopy of flow discharge systems and theoretical aspects of temperature-programmed gas chromatography. 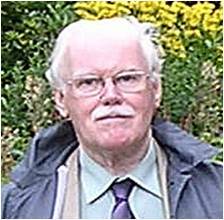 Since retirement, as a Visiting Research Fellow in UMIST and later in the University of Manchester (of which UMIST became a merger component with the Victoria University of Manchester), he has been involved with theoretical aspects of infrared spectroscopy of thin-films and more recently of cancer cells, particularly in the understanding of scattering distortions. Other long-term interests include (a) quantities, units and symbols in physical science including the correct application ofquantity algebra to physics, chemistry and engineering, and (b) the history of chemistry – he is currently Vice-Chairman of the Priestley Society which is interested in the life and legacy of Joseph Priestley. In his 80th year, he regards himself as a generalist rather than a specialist, much closer to the Niels Bohr concept of “the ideal generalist (one who knows nothing about everything)” than “the ideal specialist (one who knows everything about nothing)”.